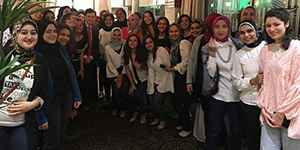 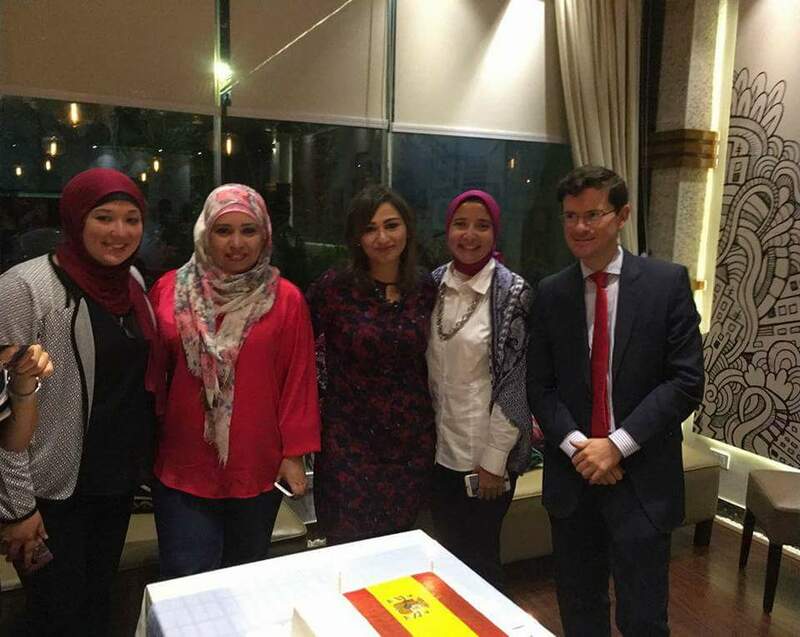 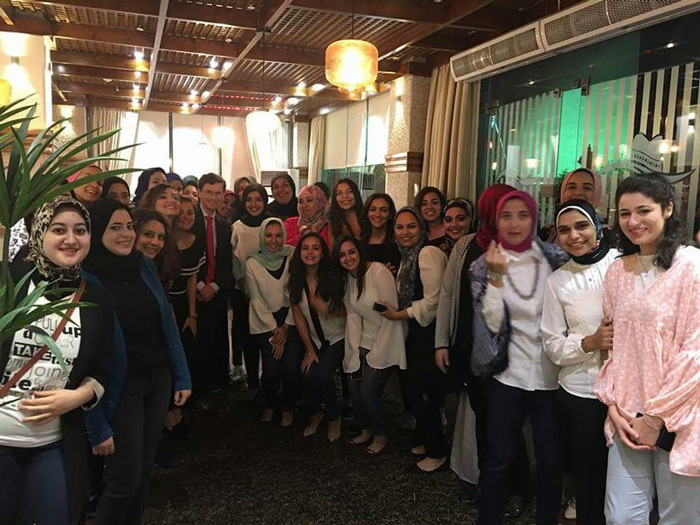 The Spanish Consul General held a banquet honouring the students and teaching assistants of the Spanish Language Department for their participation in the Spanish Culture general knowledge quiz contest that was held by the Spanish Consulate. 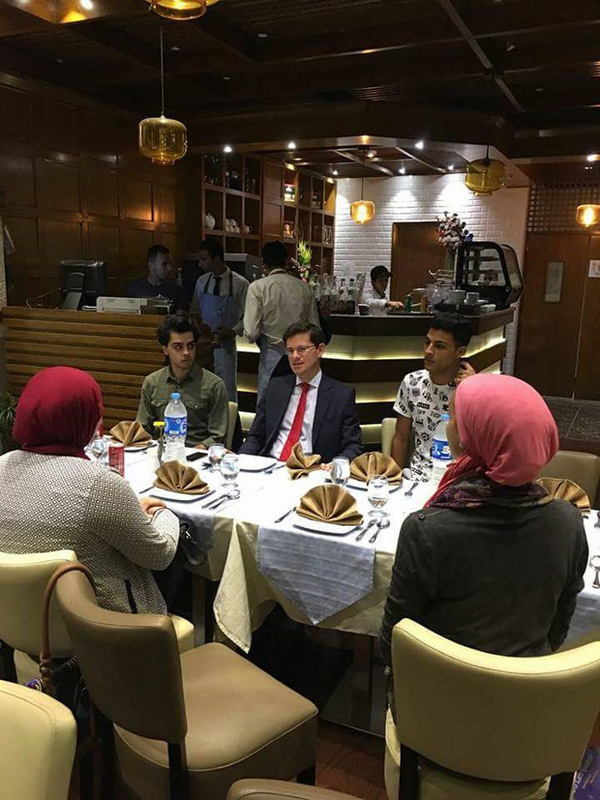 This was held on Sunday 22/10/2017 at Paella Restaurant. 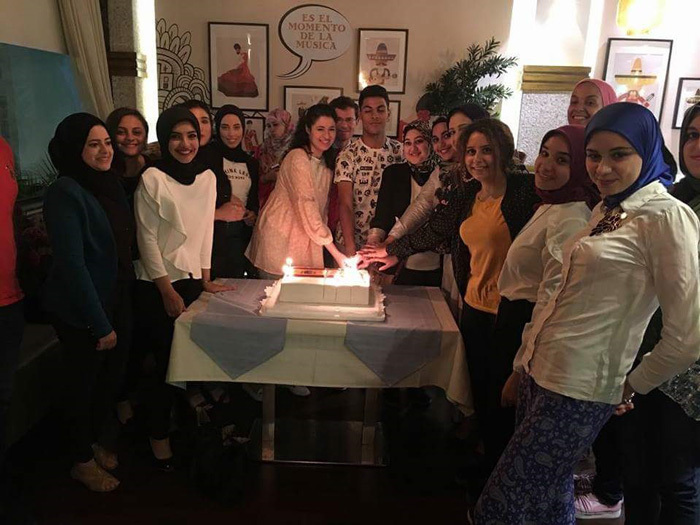 The quiz contest was won by Ms. Mayada Al-Kayal, a Demonstrator at the Spanish Language Department. 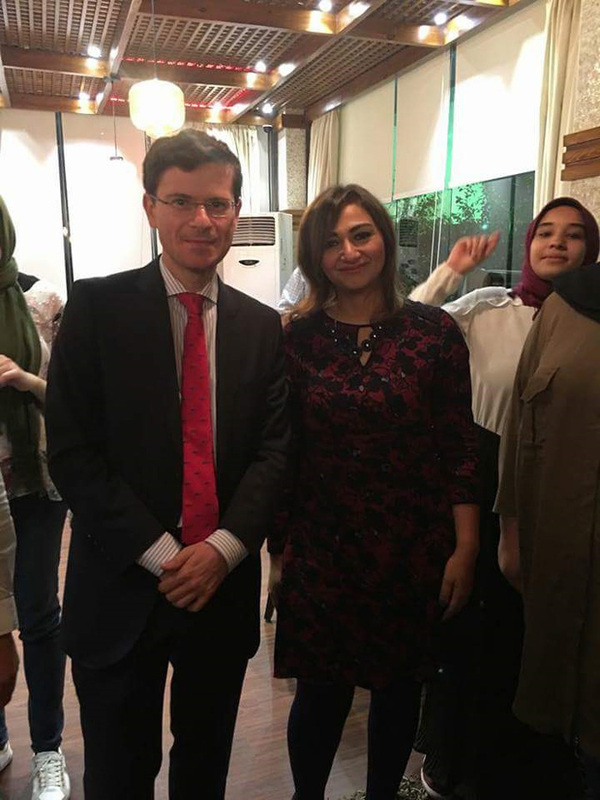 The Spanish Consul General expressed his thanks and appreciation for Pharos University and Prof. Leyla Kamel, the Dean of the faculty of Languages and Translation for encouraging the faculty students to participate in the competitions held by the Spanish Consulate. 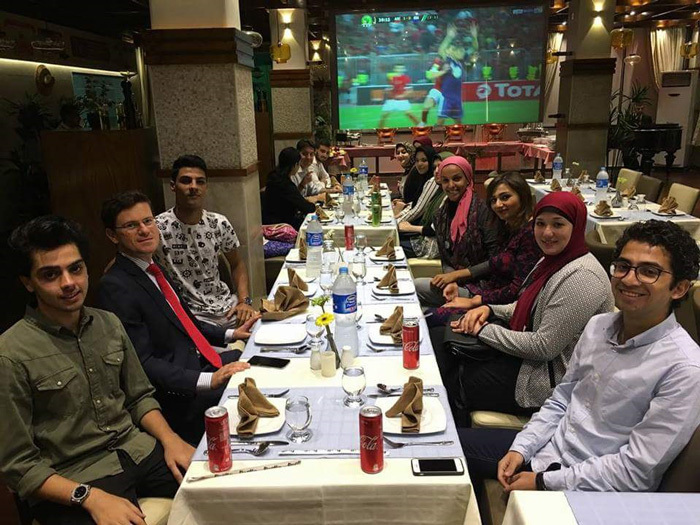 The banquet was attended by Mrs. Rania Bassiouny, the International Relations Coordinator at the faculty of Languages and Translation.